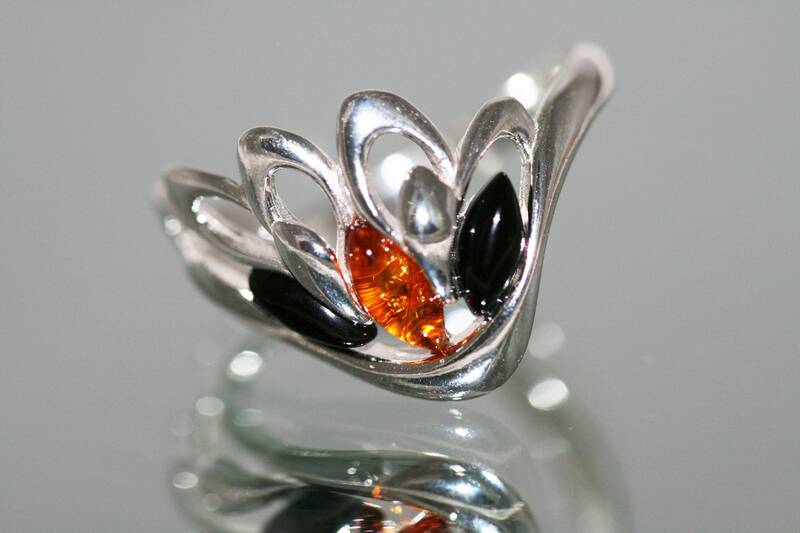 Angel wing shaped Whitby Jet and Amber ring. Sterling Silver Ring.Original British jewelllery. Contemporary jewelry. Genuine Whitby Jet. 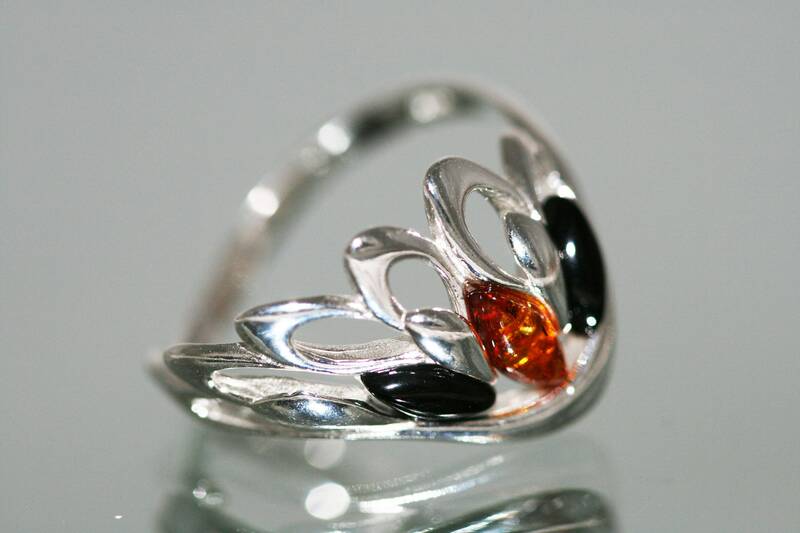 Splendid pieces of Whitby Jet and Amber fitted in an original sterling silver setting. 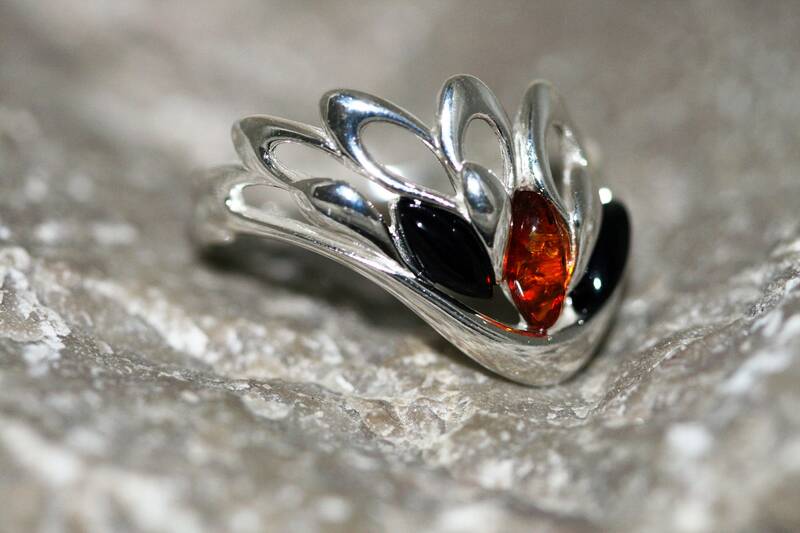 Unusual swan shaped design ring. 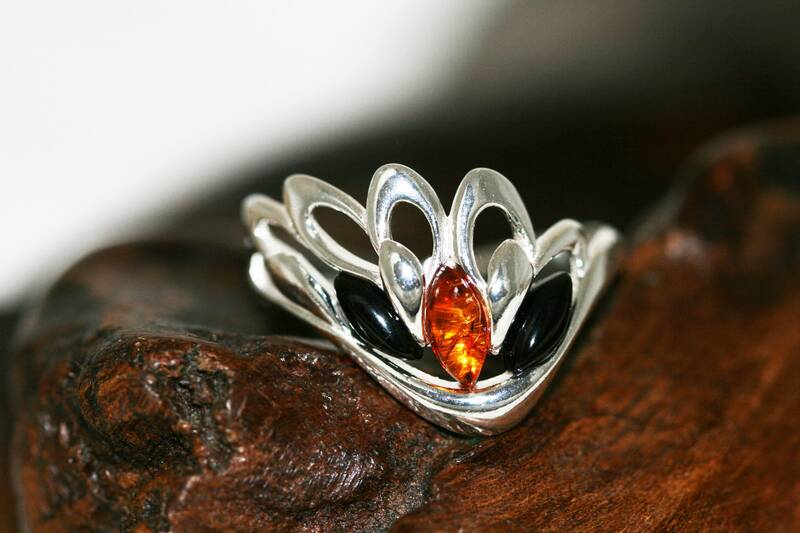 We are excited to present ring made of a pieces of natural Whitby Jet and cognac Amber which has been lovely set in sterling silver. Size of the design: 15 mm long and 20 mm wide. 9/16 inch length and 13/16 inch width. 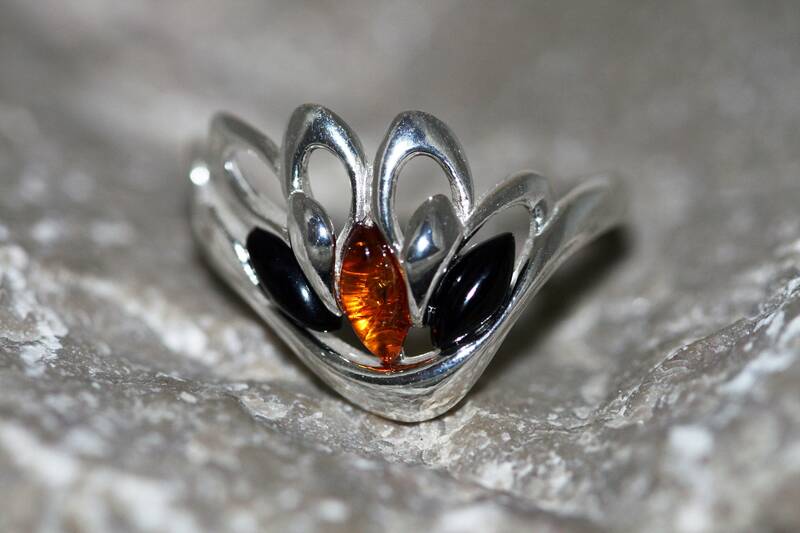 Perfectly polished Whitby Jet and cognac Baltic Amber set in 925 sterling silver setting. This ring comes with LIFETIME CRAFTWORK WARRANTY for your peace of mind. Gift wrap is also provided. We are family run jewellery workshop based in Nottingham, UK, specialized in handmade jewellery made of Natural Baltic Amber and other semipreciouse stones. All our jewellery is handmade by us. We source our amber from Baltic coast using our connections in the area and often looking for amber ourselves after stormy days on the Baltic sandy beaches.